Many giants of literature originate from the shores of these emerald isles—Shakespeare, Dickens, Chaucer, the Brontes and Austen—to which most people would willingly add the name Thomas Hardy. Far From The Madding Crowd, Tess Of The D'Urbervilles, The Mayor of Casterbridge are but three of his literary masterpieces. 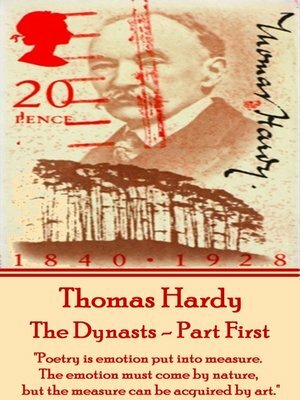 In fact, Hardy himself thought he was a poet who wrote novels purely for the money. Indeed his poems were not published until he was in his fifties after his major novels were published and his reputation set. His novels of course continue to influence and mentor our thoughts. Each is a journey through a mind that creates characters, landscapes and narratives that reveal themselves in rich and textured detail as few other writers are able to do.